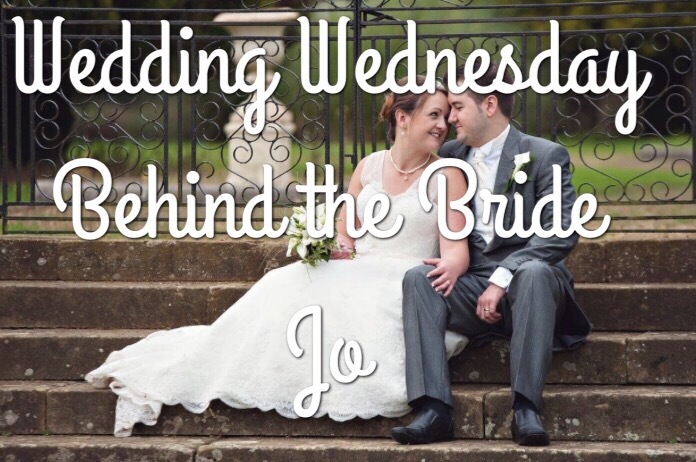 This week’s Behind the Bride is with Jo from Pickle and Poppet talking about her stunning wedding day. Thank you! 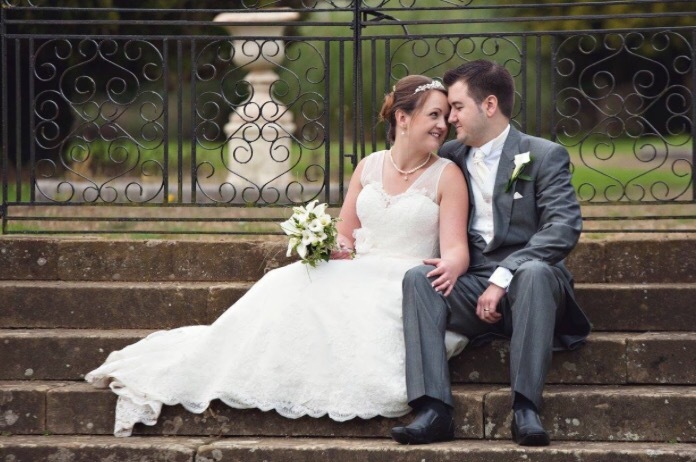 We got married 10th October 2015. Sam is a couple of years younger than me. We originally met a few years before we started dating. His best friend was seeing my mate and so we were at the same place one New Years Eve. We got on but I think I intimidated him and I was in a ‘no younger man’ phase. Fast forward a few years and our paths crossed again on another night out in our home town. We got talking, it was quite comical. I used to wear fake lashes, and hair on a night out and I remember asking if my extension had fallen out and then if my eye lash had come off. He still took my number though. When we went on our date I didn’t wear it all so there was no repeat. And the rest is history. Ha Ha. This is another funny story. Reuben was about 6 months old and we had decided to go on holiday to Minehead. Our first family holiday. It was a very long drive and, well Reuben just did not settle. He did not sleep at all, he screamed his head off all night. We went out for a walk the next day along the promenade. Sam kept asking if I wanted to stop and rest, but I kept saying no. Well we did stop eventually and it was at this point he got down on one knee and asked me to marry him. Obviously I said yes. I will always remember the date as he did it on April Fools Day. Quite an accident he assures me. 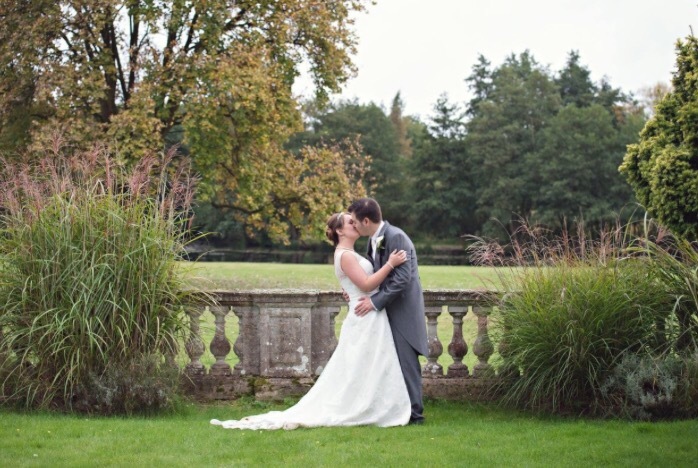 We got married at a lovely mansion; Lynford Hall Hotel in Mundford. It truly is stunning there, the grounds are amazing. It was a clear day and with autumnal colours outside it all looked very picturesque. If you are ever in that neck of the woods it is definitely worth going for some food there. Our colour scheme was ivory and teal. We went with a vintage theme so there was lace and pearls. Everything really went well together. Just one? There are so many. 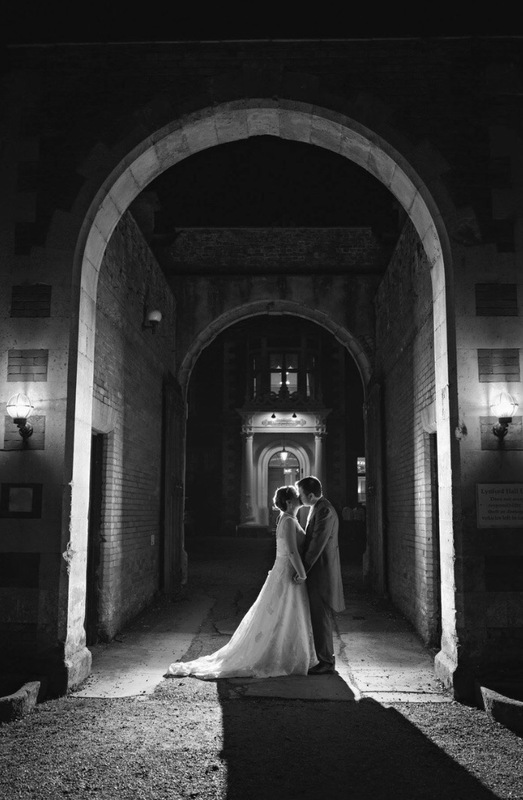 My favourite memory is walking into the room to actually get married. I have never felt so nervous about anything in my life. It was good nervous though. In all honesty, I didn’t hear the music I had picked as my heart was beating like crazy but I remember turning the corner and seeing Sam and not really seeing anyone else. Soppy I know! I could go on but I won’t, it was just an amazing day. 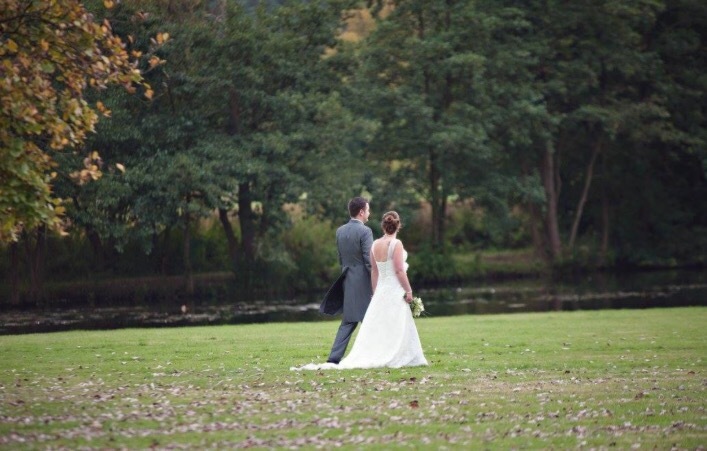 When we first booked the wedding planner gave us all the details we needed. The chair sashes were included in our fee but if we wanted runners and swags we needed to sort them. So, the company they used called us and we arranged what we wanted with them and all was good. Then we were told, maybe a week before the wedding they had changed supplier but not to panic as they were going to match the colours. So, the night before the wedding the lady came to do the swag and the runners. The teal that she used was NOT even teal it was blue. I was panicking. The wedding planner told me not to worry she would sort it. Next morning their new supplier comes to do the sashes, they were a different colour. She could see the panic. She said she would sort it out for me. I went back to my room to start having my hair and make up done. My sister had been down and when she came up to my room she said I should go down to see the room. Nervous! But when I got there they had changed all the swag and all the runners. They had done the sashes and it all just looked stunning. I couldn’t thank them enough. We did have an issue that they held another function in the bigger hall. They had their own bar so it shouldn’t have affected us but they stole our bar staff. At one point my guests queued to get a drink for an hour. Once it was mentioned to the wedding planner she sorted it quickly. Don’t sweat the small the stuff. No one will notice. Enjoy it, have the best day and make loads of memories. It really does go so quickly. And lastly, take a moment. 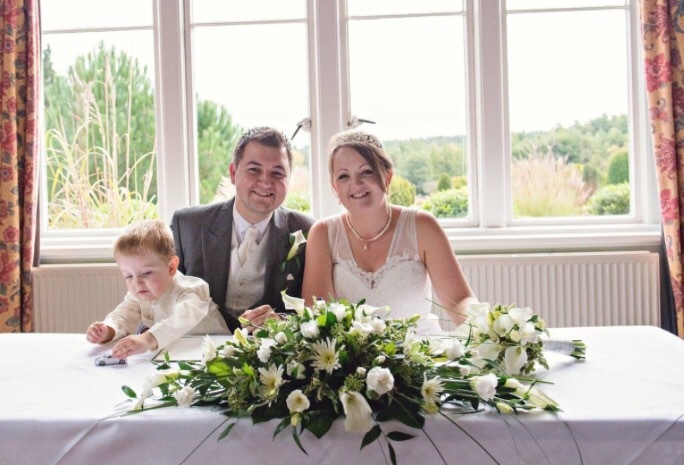 Go into the wedding breakfast room to see it BEFORE anyone goes in, you’ve planned it, enjoy it. Go for a walk for ten minutes with your husband, it is a day about the two of you and they will be the person you speak to the least so take ten minutes, it is OK, you won’t be missed.